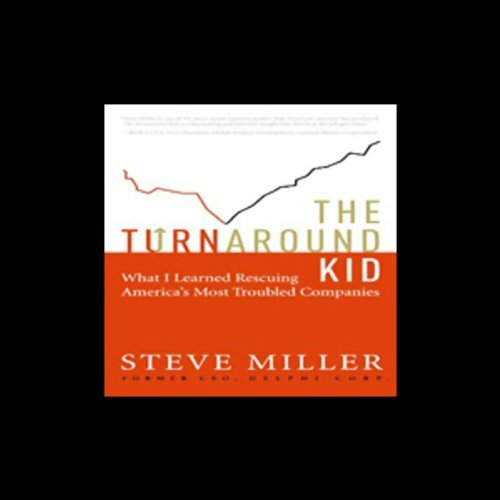 "Steve Miller has a knack for taking over companies just before they are about to smash into a wall," the Wall Street Journal observed. "In fact, it is his specialty." For 30 years - beginning with the legendary Chrysler bailout, which he negotiated as a key member of Lee Iacocca's team, to the revival of the U.S. steel industry - Miller has done the messy, unpleasant work of salvaging America's lost companies. Though he has brought many companies back to life, Miller is deeply aware of the high price individual workers and many communities must pay to restore the health of American industry. That's why the Wall Street Journal said, "He has become Mr. Fix-It for American industry, stepping in to help large, once-dominant businesses confront and manage ugly realities." The ugly reality is that there is a battle going on in the heart of industrial America, or what is left of it. Centered in the auto industry, but radiating out to every manufacturing corporation, management and labor are at loggerheads over wages and the cost of employee benefits. At the bankrupt Delphi Corporation, Miller is cutting costs and closing plants, but he's doing the job for $1. If anyone knows what it will take for American manufacturing to return to profitability, it's Miller. In this frank memoir, Miller reveals a rarely seen side of American management. Known for his wry sense of humor, Miller talks about what it takes to be an executive. He shares the credit for his success with his "mentor and occasional tormentor" Margaret Kyger Miller, who was his wife and ally for 40 years. Her death opens the book and reminds the listeners that this will be a blunt and unsparing look at Miller's own education as an American executive.